Though we sometimes take for granted that the basic "language" of our measurements is clear to all of our readers, letters to the editor tell us that this is not the case. Periodically, then, we will attempt to explain exactly what our measurements are and what they purport to show. Though those with technical training may find our explanations a bit simplistic, they're aimed at the reader who lacks such experience. 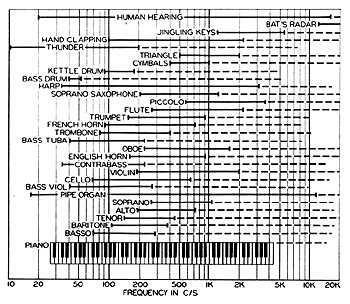 Bass constitutes one of the least understood aspects of sound reproduction. Opinions vary greatly on matters of bass quality, quantity, and perceived frequency range or response. Moreover, the bass region is subject to the most unwanted variation in practical situations due to the great influence listening-room acoustics have on loudspeaker performance. Every room has its different bass characteristic, and changes in the position of speakers or listener also constitute major variables at low frequencies. Book Review: "High Fidelity Audio/Video Systems: A Critical Guide for Owners"
253 pages, $23.50 softcover. Published by McFarland & Company, Inc., Box 611, Jefferson, NC 28640. Tel: (919) 246-4460. Room acoustics, and their importance, may not be subjects which we ponder daily here at Stereophile, but they are never far from our consciousness. Two recent events served to spotlight them yet again: the setting-up of our first-ever panel listening test of moderately priced loudspeakers (Vol.14 No.7), and a letter from a reader requesting advice on room problems. Both reminded us---if a reminder was needed---that although the perfect room does not exist, there are things that can be done to make the most of even an admittedly difficult situation. That reader's letter, in particular, brought home the fact that we cannot really discuss this subject too often. It's easy to forget that comments made here months (or years) ago are beyond the experience of newer readers. A new audiophile's most frequent mistake is to overlook the significance of his or her listening room, while the experienced listener will too often take the room for granted. Tweaks have acquired a bad reputation in certain sectors of the audio world, probably with some justification. Warming the cartridge to exactly the right temperature, suspending cables from the ceiling (but not with cotton string; it sounds grainy and dry), stroking CD cases with a "magic" brush, drinking "polarized" (or is it de-polarized?) water before a listening session---gimme a break! When sociologists tell us America is a highly mobile society, they don't just mean we do lot of driving. What they mean is, we do a lot of moving. The good old three-generation family homestead, immortalized in nostalgia TV and literature, is a thing of the past. According to census information, almost 20% of America's population changes its address every year. Of course, it's usually a different 20% every year, but pulling up roots and moving---to a bigger house, a better neighborhood or a nicer city, not to mention a place where your employer decides to transfer you---is almost as commonplace across the US of A as marriage, divorce, and unbridled greed.